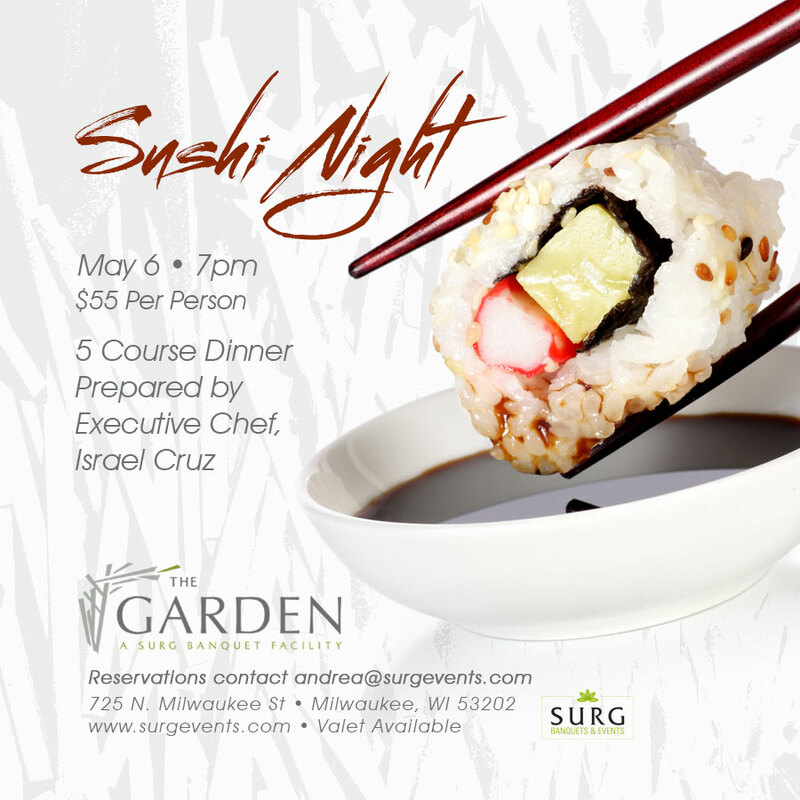 Let SURG help create your unforgettable event at one of our locations. Set in the beautiful Historic Third Ward, complete with a spacious patio overlooking the Milwaukee River. This banquet space allows guests to fully customize their event by offering a wide variety of seating arrangements and menu stylings for up to 240 attendees. Smaller parties can enjoy cocktail hours and intimate presentations in SURG on the Water's bar/lounge area. As Milwaukee's premier private dining space, The Garden offers a modern interior with incomparable style, giving guests an array of options to design a unique and unforgettable event. Featuring cutting edge music, lighting and video options, the venue can be transformed to accommodate parties for more intimate occasions or larger events with ease. Menu options are nearly unlimited highlighting selections from several of the SURG restaurants. Copyright © 2019 SURG Restaurant Group.